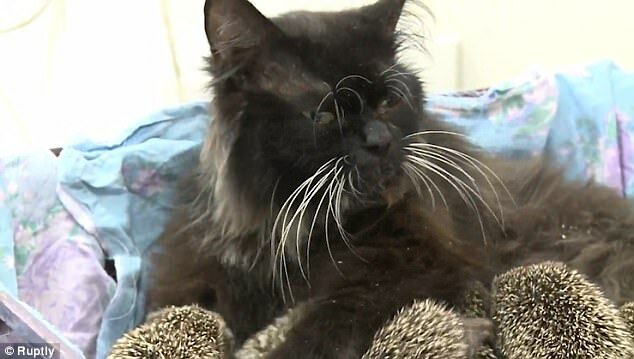 This loving cat became foster and wet nurse to eight baby hedgehogs that lost their mother in a lawnmower accident. Luckily Musya still had milk left after taking care of several foster kittens, and the tiny orphans took to her immediately. 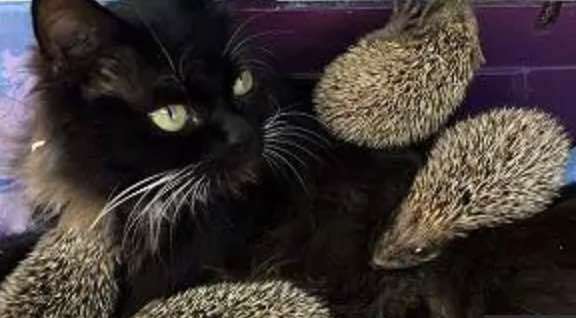 She not only feeds the hoglets, but also takes care of them at night. 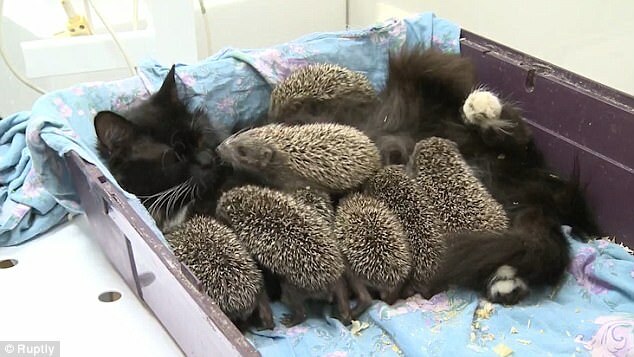 The tiny hedgehogs are thriving thanks to the help of their surrogate mama giving them warmth and milk. 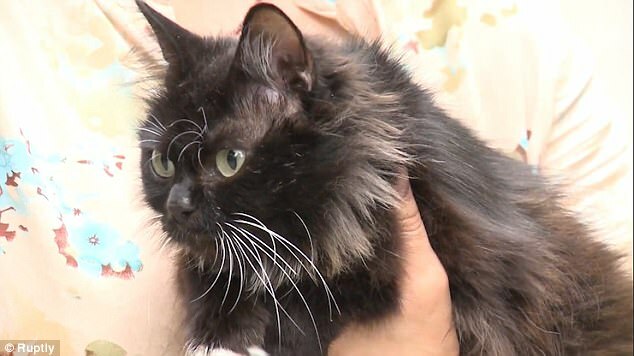 A mama cat’s unconditional love knows no bounds! 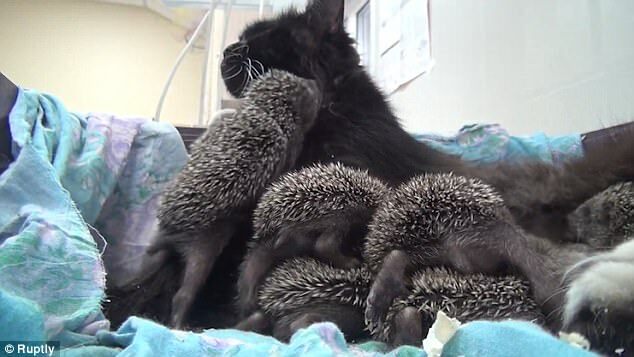 Click here to see a mama cat that adopts an orphaned squirrel!